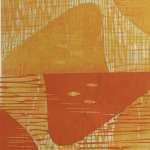 Harper Printmaking Studio is designed to take the mystery out of printmaking in a fun and environmentally responsible way. 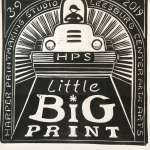 If you are interested in learning about printmaking or, are an established printer, HPS is here for you. Feel free to contact me at jenhpr@gmail.com or call the studio at 321-961-1650, Tuesday-Friday 10-2. 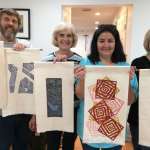 5 hour workshop on fabric printing with an etching press. First of a series of workshops to carve large plates for steam roller printing. 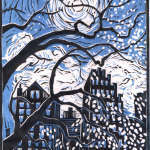 3 etching presses and no shortage of friendly artists. 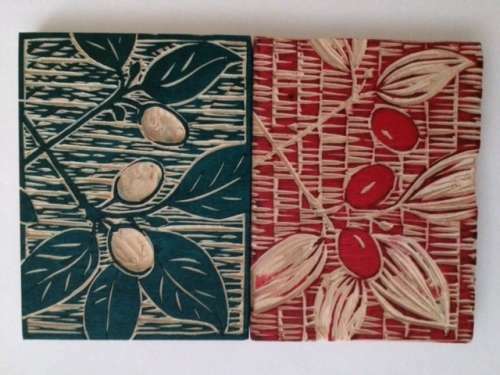 Learn to carve on linoleum and wood. 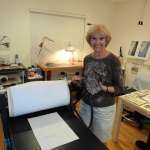 Make prints by hand and with an etching press. 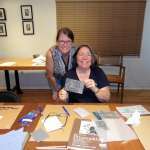 Introductory woodcut workshop for the Florida School of Woodwork.